If you’ve thought about buying a home recently, you’ve picked a great time! In this Introduction to Home Buying article we’ll discuss the steps to get started on the home buying journey. There are plenty of reasons people buy homes, perhaps your done renting and dealing with landlords or maybe your family has changed and so it’s time to get something larger or smaller. Relocating? We’ve got you covered, we have tons of experience with buyers moving to the area and can show you the town so you can make an informed decision. Regardless of your reason for buying we’re here to help and look forward to assist you! 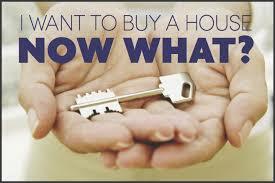 Buying a home is perhaps the most expensive purchase you will make in your lifetime and we take that very seriously! As your trusted real estate adviser we’ll make sure we listen carefully to your needs and wants so we can find you the perfect home. The first step in the home buying process is locating a real estate agent, luckily you’re reading this and when you choose us as your professional real estate representative we’ll go to work for you. Selecting us is simple, just contact us via phone at (888) 484-6526 or by email at [email protected] and let us know you want one of our agents to assist you. Step One in Introduction to Home Buying, Find a Realtor! The steps in buying a home are the same for everyone regardless of it’s your first home or 100th. As you know the first and most important step is locating an agent. Secondly your agent will probably encourage you to get approved with a lender. There are many great lenders out there and we have strategic business relationships with most of them. When looking for a lender, rely on your agents recommendations, after all they deal with lenders all day long and know who is good and who isn’t. Once you’ve been approved to buy a home and know exactly what you want to spend, then the real fun starts. At this time your agent should have a very candid discussion with you on where you want to buy, what you want in a home like how many bedrooms and bathrooms, the size of the home, etc. There’s a difference between wants and needs in locating a home, we use the latest technology and can send you homes that match your search criteria based on what you need and also add in the “dream properties” of the perfect home. During the home finding process we’ll work closely with each other filtering out good properties and not so great properties until we have a list of 5-6 homes that you’d like to see. By the way that list happens pretty quickly so once you’re approved we’ll probably be looking at home within a couple of days! Then when we find you the perfect home and you’re ready to make an offer we put on our negotiating hat and really go to work. We’ll work hard to get you the best price and terms for the home your interested in. When your offer is accepted by the seller and we enter escrow you’re still not on your own, we will make sure to guide you through the process on counter offers, repair requests and even assist with your inspections. When you select us as your real estate agent we’ll make sure your satisfied and represented properly 100% throughout the home buying journey. If you have additional questions on the home buying process, check out our article Home Buying Process Timeline & Paperwork. For more information on this article introduction to home buying or you’re interested n buying a home, please contact us or leave a comment below. We’d appreciate the opportunity to assist you!